Provisioning and scaling to hundreds of VMs with a single click—with the service managing all underlying infrastructure. Invite users to access lab resources right away. When they sign in, they’ll see a full list of VMs they can access across multiple labs. With one click they can connect and start working—no Azure subscription needed. As a managed service, Lab Services gives you automatic provisioning and management of your lab’s underlying infrastructure. Just prepare the right lab experience for your users and the service will handle the rest—rolling out and scaling your lab to hundreds of VMs with a single click. Create invitation-only private labs for demoing your prerelease software. Azure has more compliance certifications than any other cloud provider. View the comprehensive list. With Azure Lab Services, you only pay for active usage in your labs. The hourly price of a lab instance bundles compute, IP, network, disk, and other costs, so calculating your bill is a simple step. Learn more about Azure Lab Services pricing. Create a lab under your team or department's lab account. 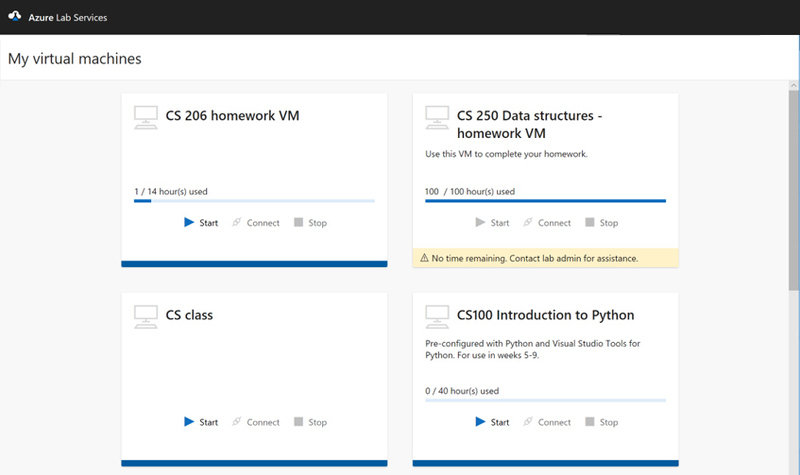 Configure the lab and invite your students and users. Currently, you can provide one VM per user in a lab. To enable a multi-VM environment, when configuring the template VM, choose the large VM size. This size supports nested virtualization through Hyper-V. Learn more. A lab account is a management account each team or department establishes to create and track labs. 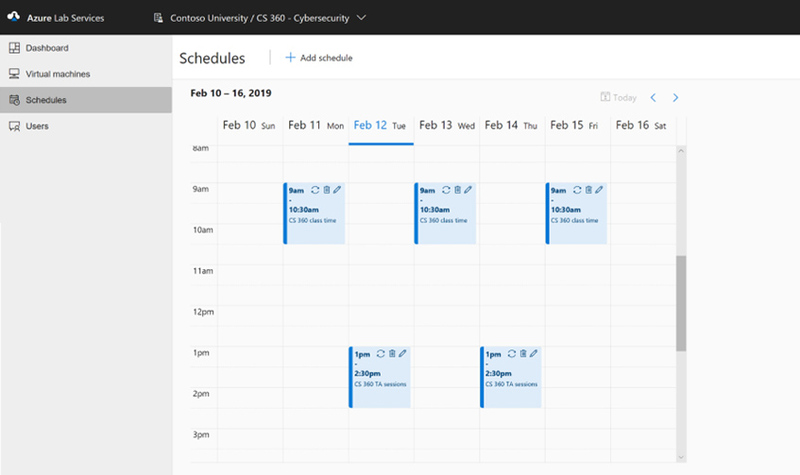 Each lab account is connected to an Azure subscription, and billing and organization-level policies are applied to it. Ready when you are—let’s set up your Azure free account.